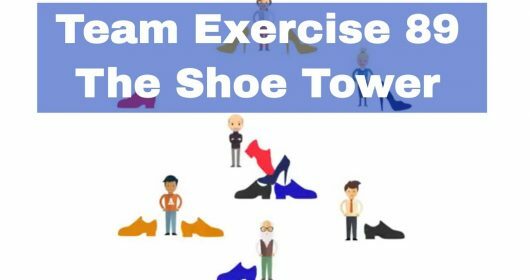 Join us and share your own exercises! 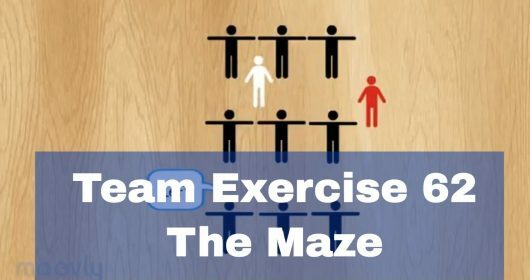 In this one of the team exercises games in which the team stands in a circle at equal distances from each other. To start off the exercise one person gets a small ball that can be easily held. For this exercise and everyone’s safety a tennis ball is advised. The person with the tennis ball will throw the ball towards another person in the circle. This will be done with an underhand throw. While throwing the ball the person throwing calls out the name of the person which he’s throwing towards. Let’s say his name is Mike. Now Mike holds the ball and throws it to the next person calling out a new name. And this person throws it to the next one. 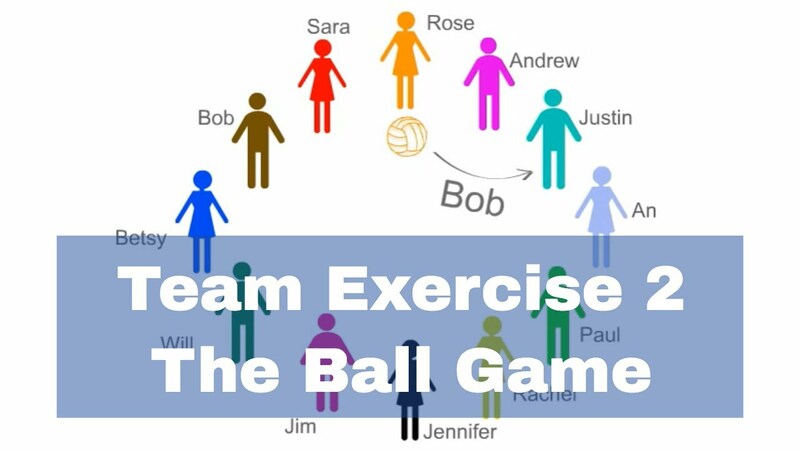 The team will continue passing around the ball until everyone knows everybody’s name. If someone doesn’t know a name or forgot it he may throw the ball and ask for a name afterwards. Play the game as is described above and let the team play at an higher than average speed. Keep playing for around 2 minutes to let them warm up so that they can quickly proceed to the next part of the exercise. Now that the participants are warmed up to the exercise the difficulty will be turned up a nodge. Now the one throwing the ball won’t say the name of the one who is going to catch the ball, but the name he will throw the ball to. This means when Mike throws the ball to Jennifer, he won’t say ‘Mike’ but he’ll say ‘Bob’. Jennifer will then catch the ball, throw it to Bob and say the name to which Bob has to throw the ball next. See how well the team performs with the new rules. When they’re ready and able to throw the ball around without making any mistakes in calling out names they may commence to the second part of the exercise. To add another layer of complexity the exercise will now be played, not one name behind, but two names behind! The first one to throw the ball will call out two names. 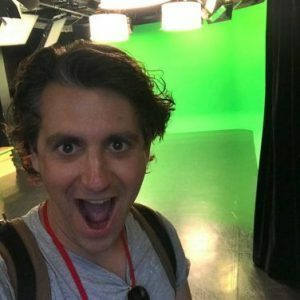 For example this person calls out ‘Bob’ and ‘Mike’. Now he throws the ball to Jennifer. Jennifer will then call out a new name, Lois, and proceeds to throw the ball to the first name the first person called out, in this case: Bob. Bob will catch the ball, calls out a new name, for example Peter, and throws it to the second name the first person called. In this case: Mike. Who, after having caught the ball and called out a new name, will throw it to Lois and so forth. Let the participants get some routine with the exercise before commencing to the final part. This may take a little longer than last time, but that’s okay. More complexity means a bigger learning curve! It’s safe to say that it pays to be patient. Now the ball game will begin its final stage. Instead of walking 3 names behind (feel free to try actually!) we’re instead going to add an extra tennis ball into the game. All the other rules remain the same. It is advised that when you play the game with a second ball to not make it too difficult on yourself and the group you’re working with. So for now play the game as was done in the first phase. Let the participants call out the name of who they’re going to throw the ball towards. After they’ve got a grip in this new manner of playing the exercise you can add the layers of complexity again. The team may try to play with 2 tennis balls and calling out names to which the next person has to throw the ball to. So that’s one name behind. Although I’ve rarely seen it happen. If the team manages to play the game with 2 tennis balls and calling out names one step behind, they can try to play the game and start from 2 names behind. Good luck! 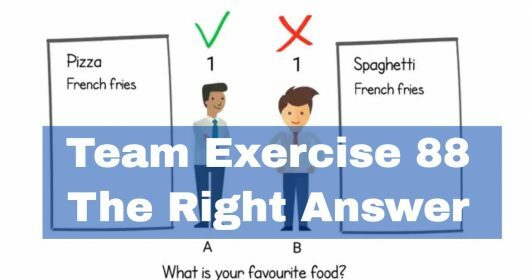 To try to get the most out of the exercise it’s important for everyone in the team to be highly focused. This means that everyone has to listen very well to each other, clearly call out the names and make solid eye contact before passing on the ball. Make sure that, when leading the exercise, to have people stay focused at all times. Give feedback on the process and take breaks in between phases of the game to listen to what the participants have to say about the exercise. There’s multiple reasons to play The Ball Game. 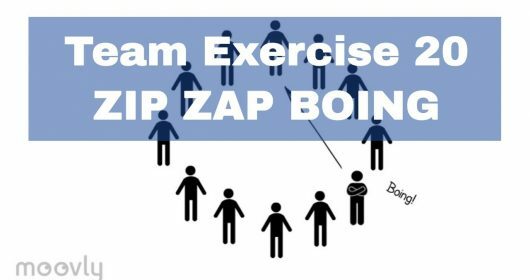 Either to memorise names if you’re working with a new group or as an energizer to kickstart the day with. What’s especially good about The Ball Game is that it combines multiple skills to successfully complete. Not only is the memory muscle being trained trying to remember the names, the participants also have to keep their eyes on the ball and catch it. This will help the team to really get into the moment since losing focus for one second means the game has to start over again. For most groups it’s easiest to stand in a circle when passing the ball around. If for some reason other phases of the game don’t catch on so well (maybe they don’t like the added complexity of calling out names prior to throwing it to others) you can instead make the team walk criss cross through the room. They’ll still play it as before but they aren’t bound to the circle formation anymore. When you start the exercise, the tempo of passing on the ball can be quite low. Especially when there’s more than one tennis ball in the game. When the team gets flow in passing on the tennis ball(s) you can up the pace every time you clap your hands. 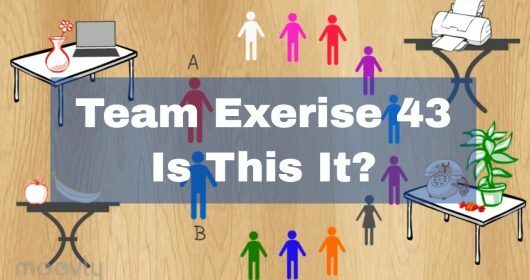 This requires even more focus and coordination from the group. This variation can also be combined with the walking variation. Is the group actually able to play the game from 2 names behind? Impressive! Want to know another variation? Try 3 names behind. To clarify; when this round starts, the first person to throw the ball will have to call out 3 names. 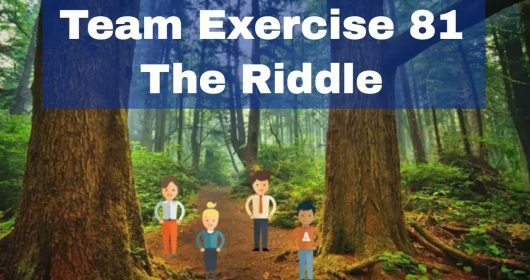 Team building Games for Kids – Is this it?